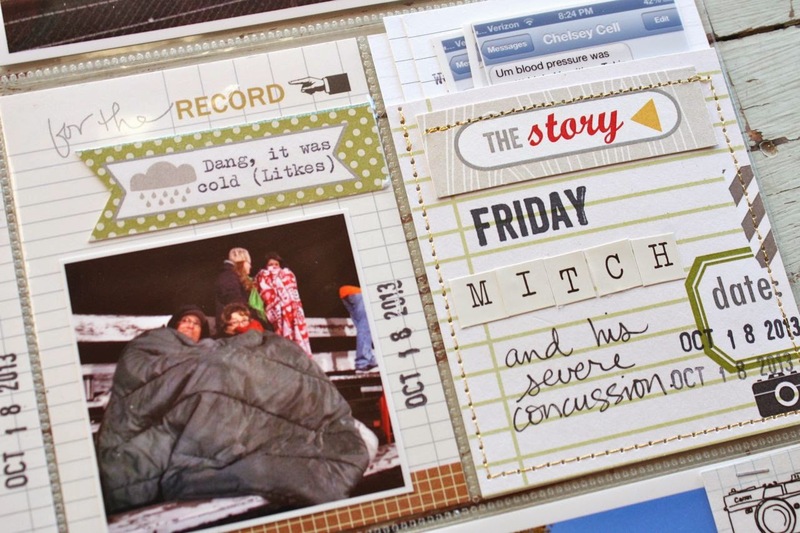 Hey there, it's Michelle here on the blog today and I'm sharing my Project Life Week 42. 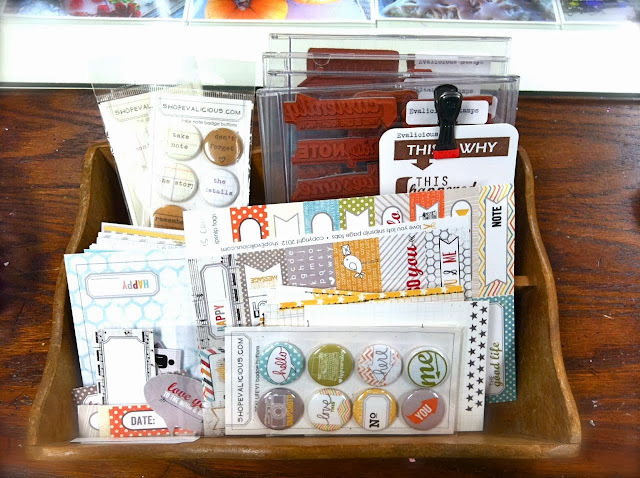 I have grown quite the stash of Evalicious products and I just love using them for my Project Life. I like to keep all of my journaling cards, tag sheets, badges and stamps in one area so that I can reach for them all at once. 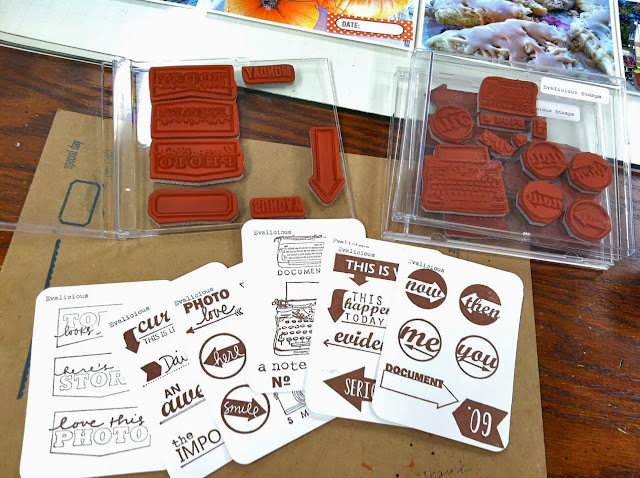 For my stamps, I like to store them in clear CD cases. 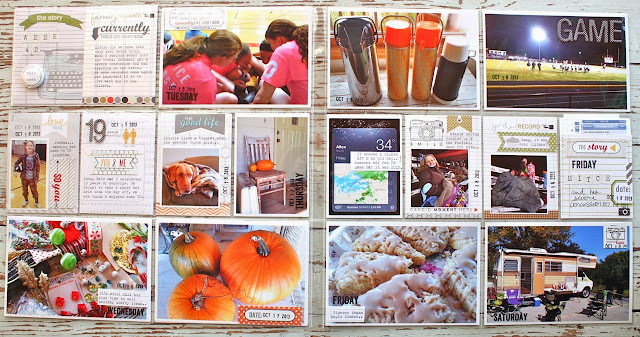 I use blank Becky Higgins journaling cards to stamp each image so that I know what designs I have. 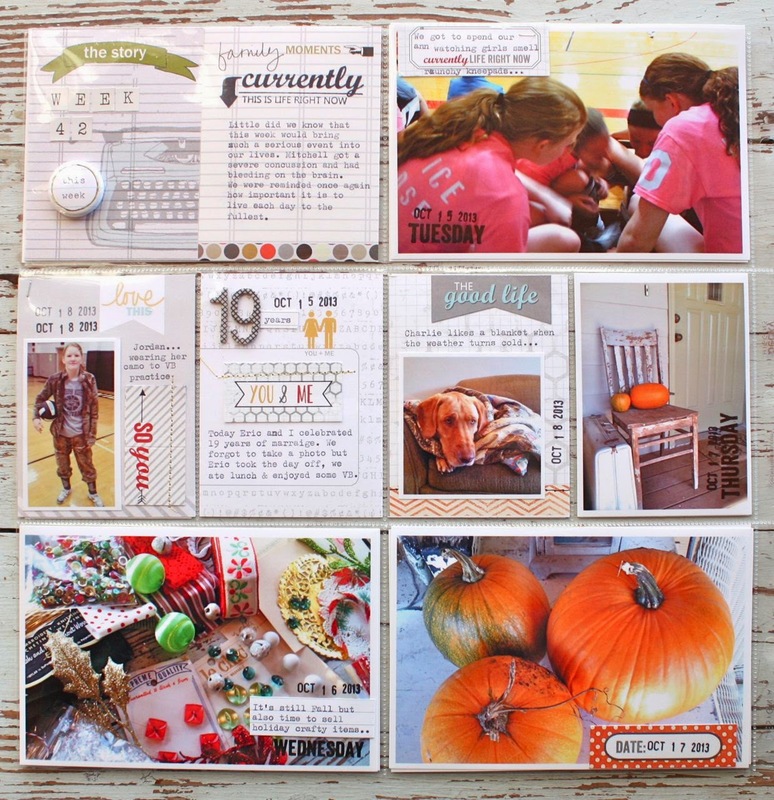 I use a clip to keep them all together and when I want to select a stamp I just thumb through the cards to make a selection. What I love about Evalicious products is that they are neutral enough to go with any photos or themes, they are graphic in nature with lines, grids and clever images and there's lots of white space to add journaling or photos. I love that Eve's products don't overpower the photo photos but add just the right touch to make some interesting designs. 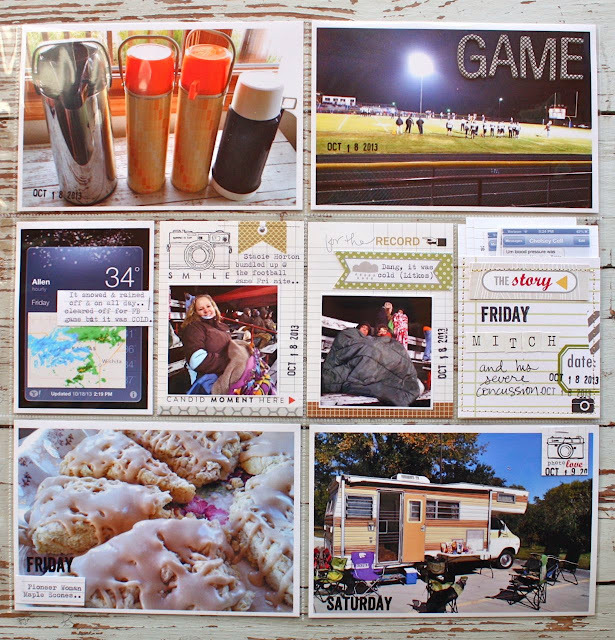 So here's the full spread of my Project Life Week 42. I love how clean this week's pages look. Here's the left page, you can see I had plenty of room to type in my journaling. For my main, dated 4 x 6 insert I used two journaling cards side by side. 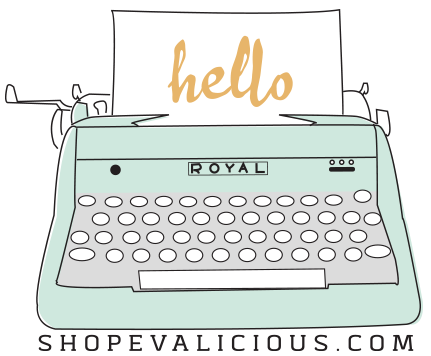 I love the typewriter image that goes hand in hand with telling my stories. 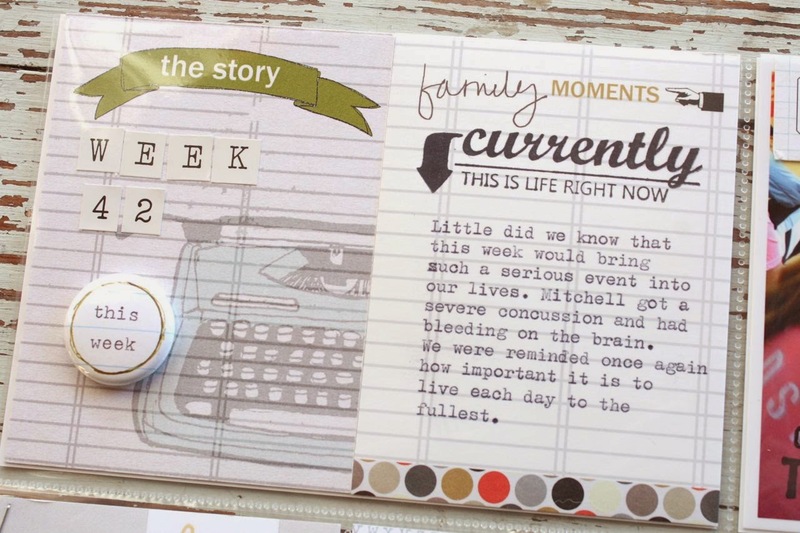 I also used the "this week" badge along with a stamp to note the most important story from this week. I added the days of the week stamps to all the photos using an archival black ink pad. I love the look that adds to the photo. Here I added a small photo of my daughter sporting her camo duds to volleyball practice. 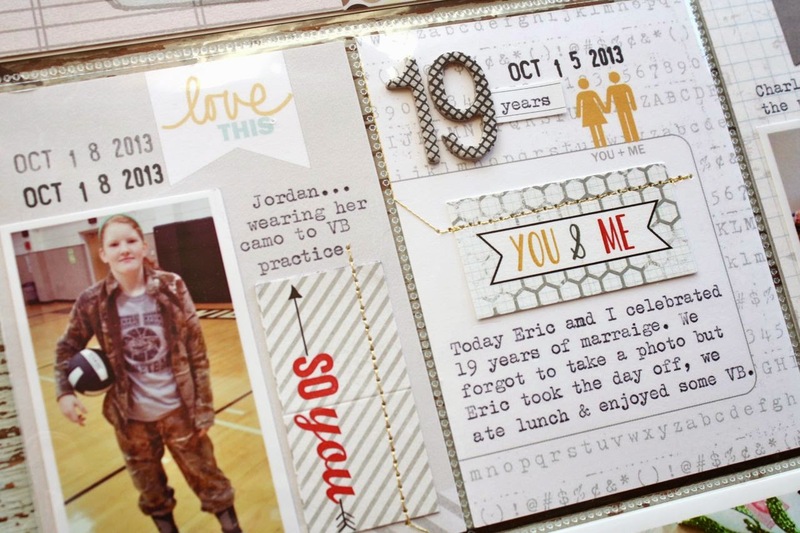 I was also able to use the "you & me" journaling card and tag to journal about my anniversary. I forgot to snap a photo but the couple image and words helped tell my story. Another journaling card with an instagram photo and typewriter journaling + another days of the week stamp. Here I used a stamped image on the right journaling card. Eve's cameras and typewriter images are my favorites of these images. 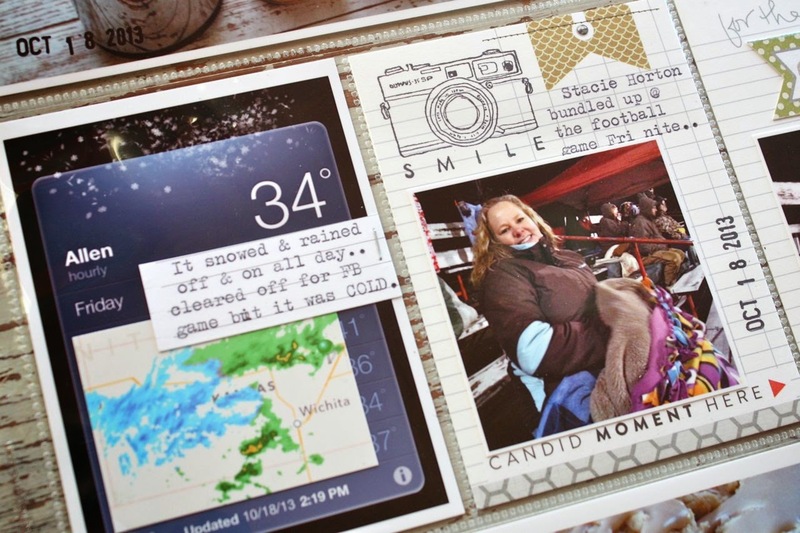 On the right card below I used a small journaling tag for my typed journaling. The rainy cloud helped tie in with the stormy night at the football game. 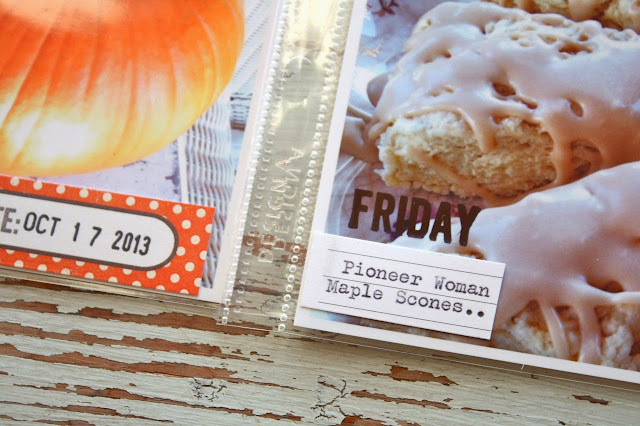 On the right I trimmed down a journaling card and stitched it to a plain journaling card to create a pocket. Inside I placed some text messages and the story about my nephew getting a concussion at the football game. 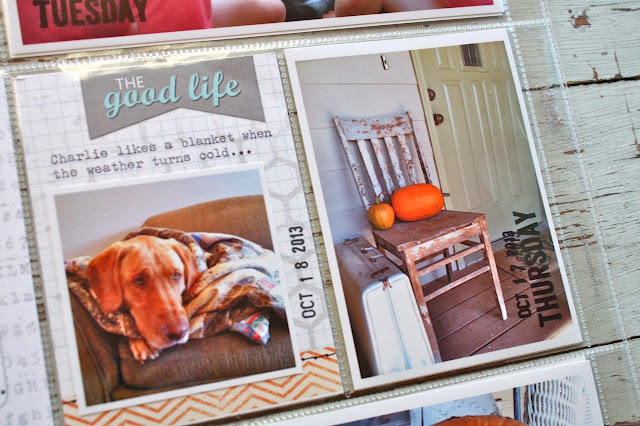 Such a great look to this week's Project Life. Thanks Eve for having me guest on your blog. All I can say is keeping making great products!